Tasty Whale is a website created from our love of reviews and news. It started with a few friends writing game reviews and posting on a friend only forum, then we started doing movie reviews, then we started doing other reviews… and then we decided we needed a permanent solution and location. Bought a domain, got a business license, and set up the website. This is a hobby project among friends and we do this in our free time, so updating has been sporadic before. Throw in 2-3 web site designs we’ve gone through, and some of our original articles have gone missing. Ahwell! We are working with a schedule and have laid out plans for continual updates. With the latest upgrade to our back-end, updating has become a breeze so we have consistantly been uploading new quality articles and reviews. Alison Meier (Entertainment writer, Social collaborator)- Fashionista and music lover. The one that has the most job-related experience at this. Billy Wellen (Editor-in-Chief)- Crazy guy. Videogames, Japan, and general geekery are his thing. Used to test videogames. Derek Diel (Digital Media and Entertainment reporter)- Music, film, and videogames are his specialty, having studied them and been involved with independant works. James Killgore (Games and beer writer, Web-admin)- Web-wizard and videogame connoseur. FPS and RTS EffTeeDub! Paris Chávez (Food and Horror writer)- He will eat anything, watch anything, or read anything and hate himself afterwards. Radar (Digital Media and Entertainment writer)- Film and Videogames! Our resident flyboy. Tim Erickson (Retro writer, gaffer)- Has extensive Elder Scrolls knowledge. May, in fact, be one of the Elder Scrolls. Josh Jenkins (Camera)- Grah PC and MMO!! Grahhh! 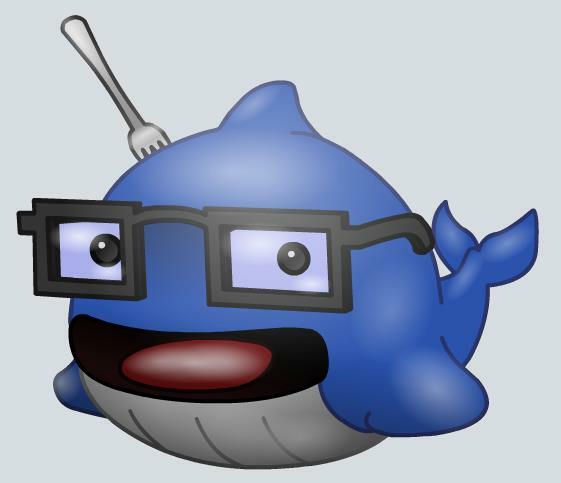 Latest Tasty Whale mascot by Trevor. Freelance work available by request.